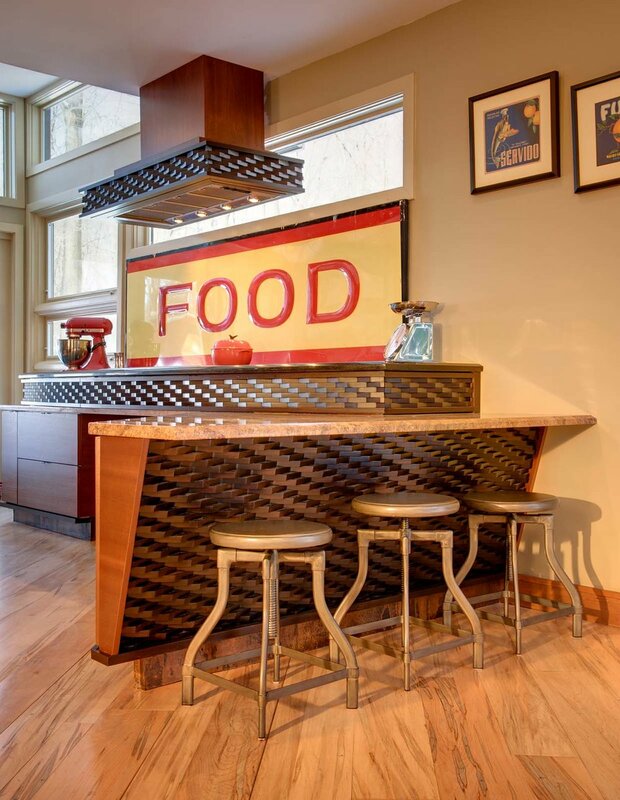 This award-winning 400-square-foot kitchen in Ambler, Pennsylvania, oozes modern élan with its dark mahogany accents, irregular shapes and eclectic materials. 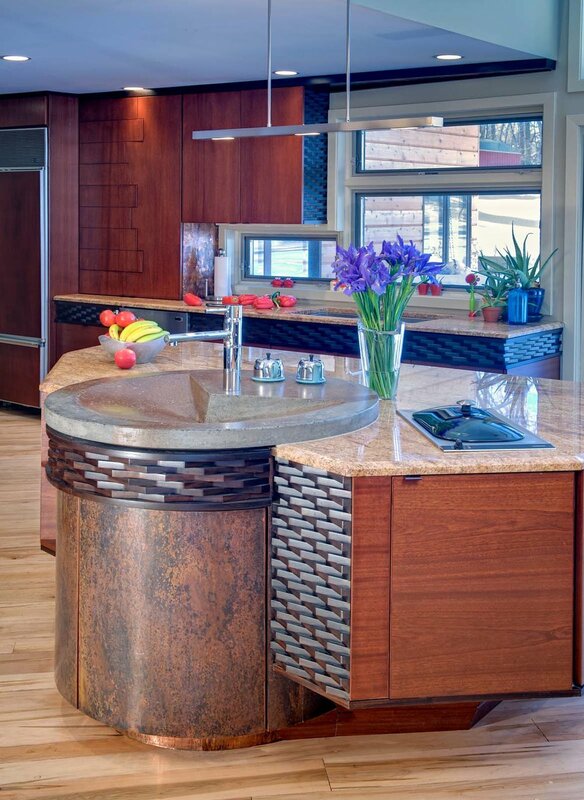 The island features antiqued copper paneling, a concrete sink by Hollow Rock Design, and Marble Concepts gold granite countertops. 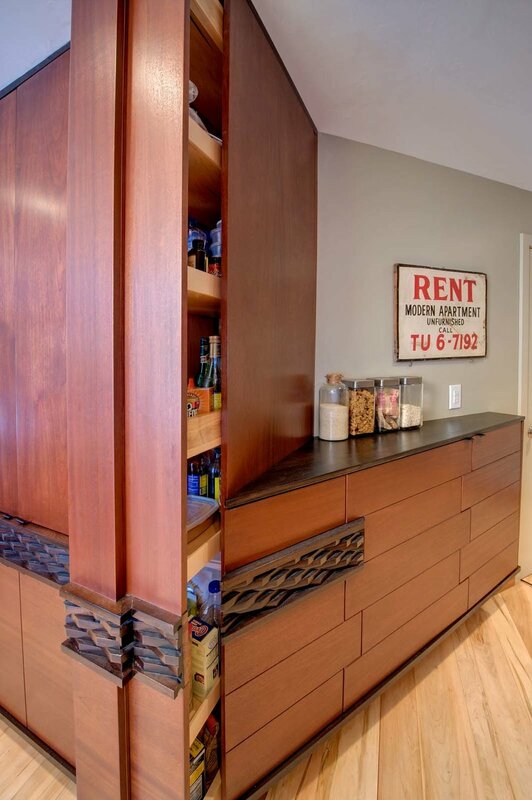 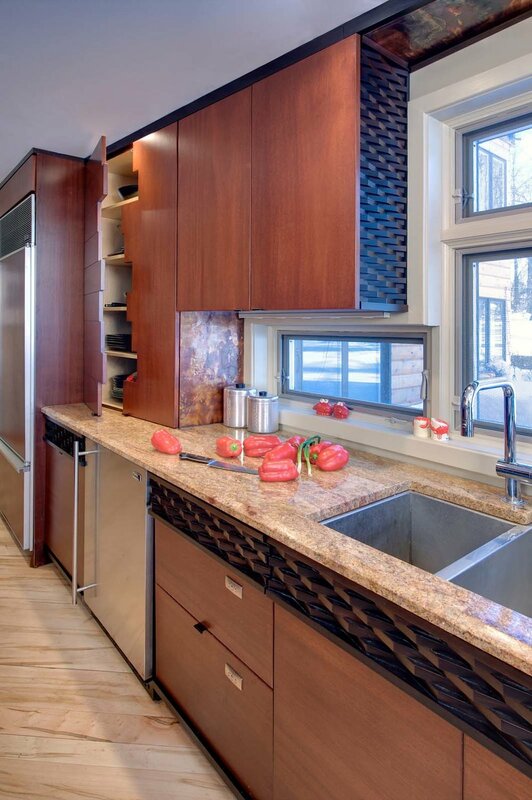 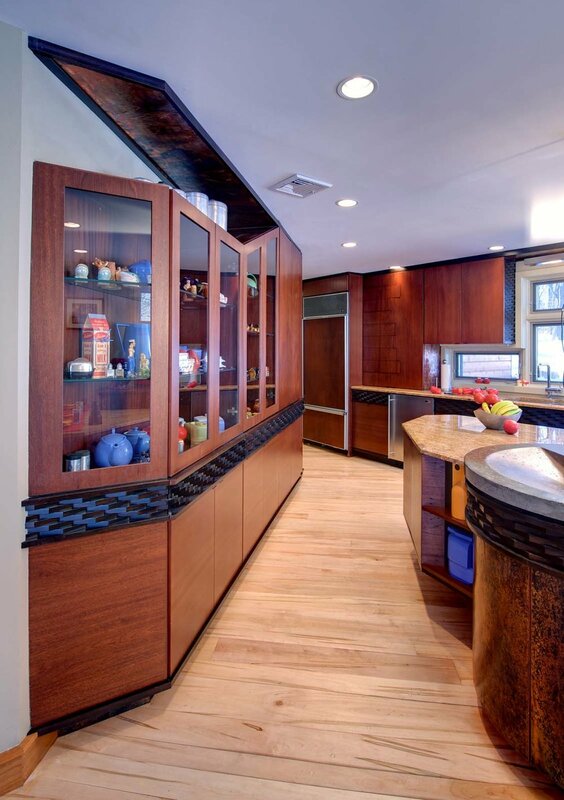 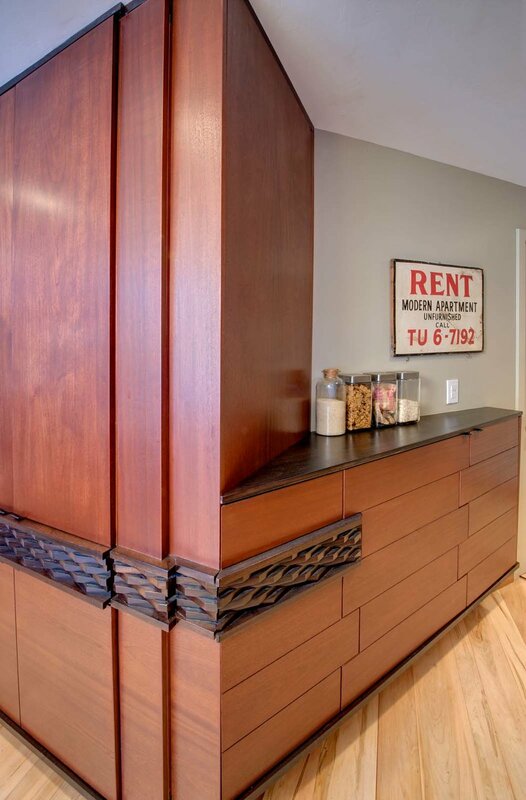 Custom Village Handcraft private-labeled mahogany cabinets throughout the space provide plentiful storage, while appliances by Sub-Zero, GE, Wolf, Dacor, Fisher & Paykel, and Best by Broan, as well as plumbing by Grohe and Elkay, optimize the kitchen for convenience. 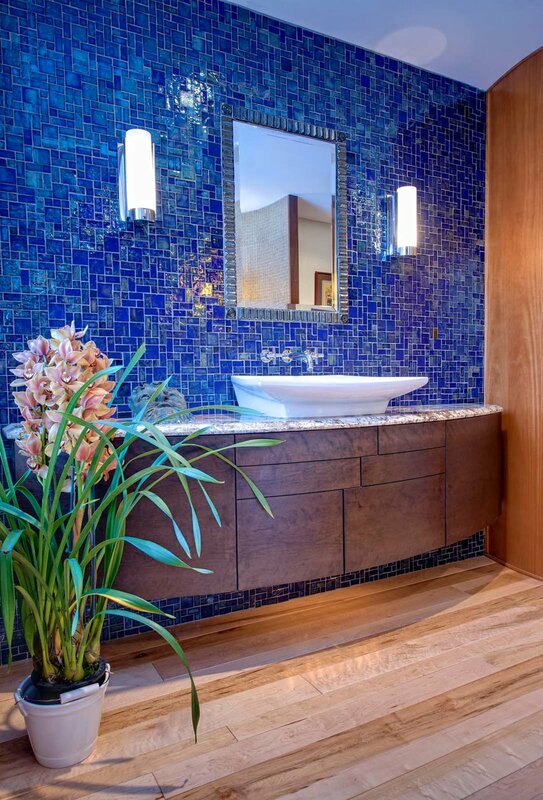 Organic curves and rich finishes give this 150-square-foot open-plan master bath its look of contemporary elegance. 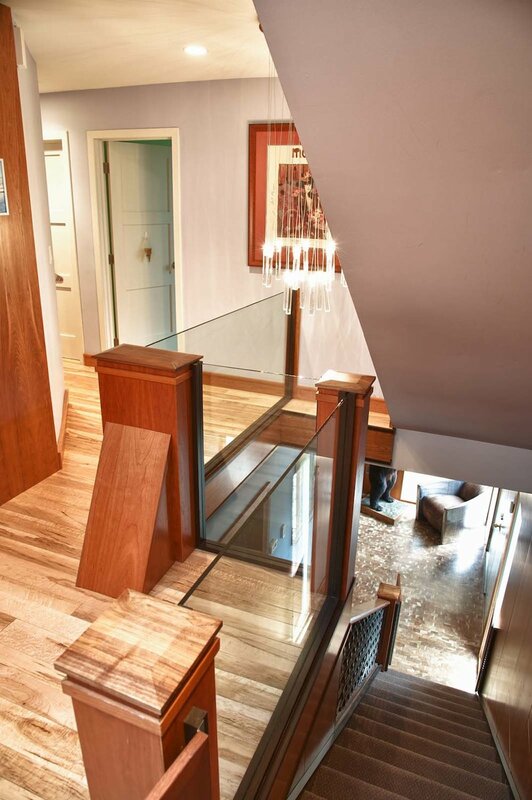 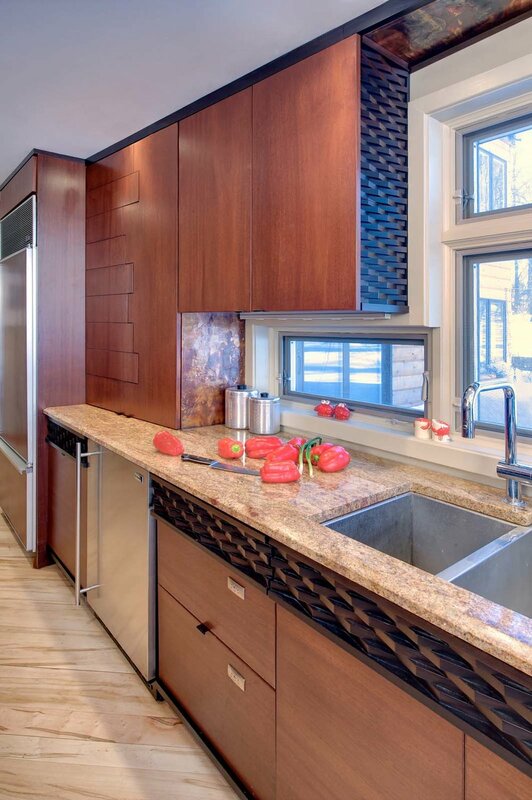 Remodeled on a modest budget, it incorporates birdseye maple flooring sourced directly from a mill, a salvaged granite countertop, and gold mosaics left over from a hospitality project. 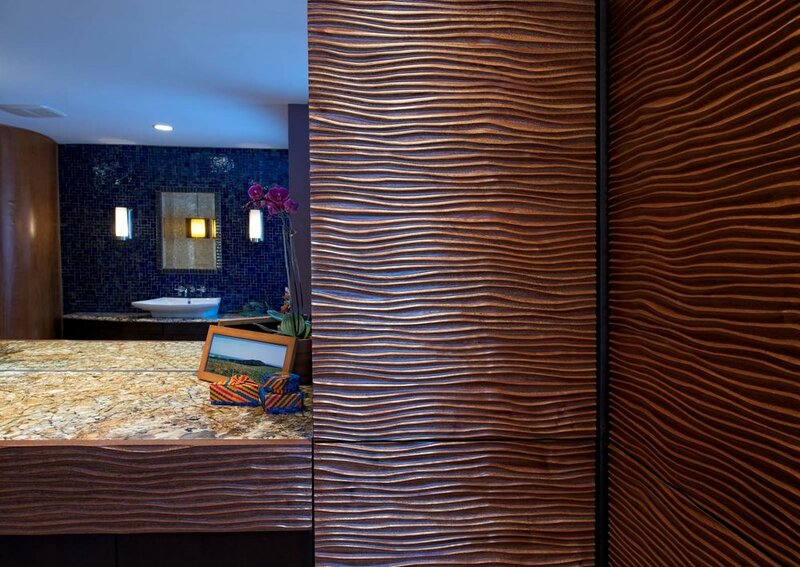 In the makeup area, custom wave-patterned mahogany panels by Enkeboll inspire calm, while Lightolier striplights on motion sensors, mounted under both the custom and makeup vanity, ensure safe wayfinding at night.